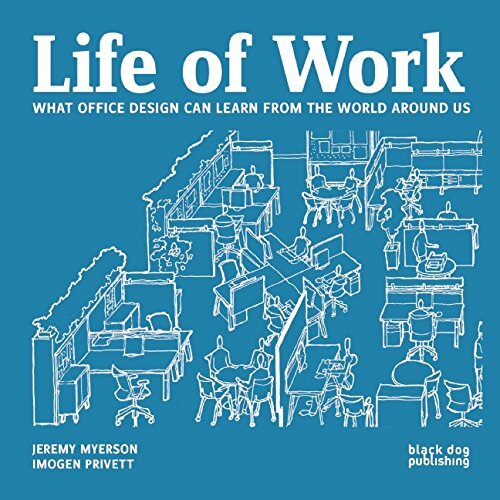 Life of Work: What Office Design Can Learn From the World Around Us sets out a template for the future of the workplace, by adopting a series of novel perspectives on how office design can learn from other environments in the world around us. Based on a five-year research project between the Helen Hamlyn Centre for Design at the Royal College of Art, London, and two global industry partners, Haworth and Philips Lighting, the book takes lessons from interactions in the academic library; the emotional landscapes of stage design; flexible, temporary events in the city; and the intensive team environments of air traffic control and emergency medical departments. Working life is viewed as a combination of process and experience—what we do and how we feel. Life of Work creates a new picture of the workplace, encompassing not only physical settings but also people’s psychological experiences within those spaces. It offers a framework to escape from the tradition of mechanistic workplaces that are programmed for maximum efficiency without taking into account the human need for comfort and connection.